Buddy and his mother are spending a relaxing day at Pete’s Pond. As Mama tells Buddy about the animals, bugs, and plants they see, Buddy sketches them on his drawing pad. Ducks! Whirligig beetles! Lily pads! Buddy is curious about everything, but most of all, he hopes to see a turtle. And he does—but not the kind he expected! 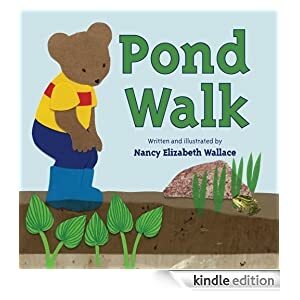 This book, illustrated with photographs and cut-paper artwork, is a perfect introduction to environmental science and biology, but will also be useful to all enthusiastic pond goers. A make-a-rock turtle craft activity is included. Suitable for ages 5-8, this book is selling for only 99 cents today.